It's not often that I take home a piece of DIY equipment to review and my wife shows an interest. "Oh, a hairdryer. That's nice." She exclaimed when I took it out of the box. I chuckled and tried not to imagine what would have happened if I'd accidentally made the same sleepy mistake early one morning. The Silverline Silverstorm 2000W Hot Air Gun is a versatile tool that is designed for stripping paint from wood and other surfaces, as well as other less common tasks such as removing stubborn wallpaper, bending plastics or drying bonded elements. 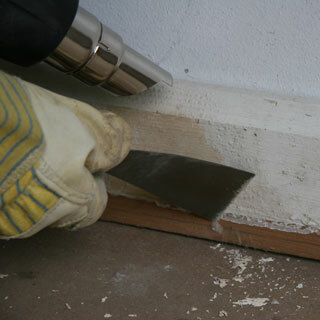 Stripping wooden windowsills and skirting boards that had been primed, undercoated and top coated with oil-based paint. Paint was at least ten years old. The gun is light, well balanced and designed to work as simply as possible. The chassis is smooth and unobtrusive – there’s no chance of snagging a button on your overalls or a protruding knob preventing you from accessing a tight corner. It has a looped handle which is both practical and comfortable – a crucial fact if the tool is to be used for extended periods. The handle enables the user to hold the tool in the conventional manner, but also allows the use of two hands for more precise jobs. The loop is sufficiently large enough so wearing protective gloves is possible. 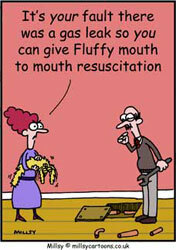 An elementary function of the Hot Air Gun (but always worth checking) is the switch rather than trigger on/off control. This means you don’t have to keep pressing it down while using it. 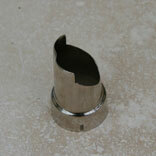 The chassis of the Silverline tool is shaped so that it can be placed ‘upright’ on a flat surface to cool down. The advantage is that once a job is completed you can leave the model safely on its own without posing a fire hazard. In the past I have used hot air guns with a major design oversight - curved ends preventing them from being rested after use. Fortunately for me, the Silverline Hot Air Gun is far more user friendly and well designed than previous hot air guns I’ve used. The cord is also a decent length – approximately 2.5 metres long. There’s nothing worse than starting a job and discovering half way through that you cannot reach the top of the doorframe or end of the window ledge (yep, it’s happened to me many times). The cord is long enough so that it offers good flexibility without getting in the way. The Silverline 2000W Hot Air Gun is a mid-range model – sitting above the smaller version (Product Number 127655) in Silverline’s range. The wattage, a measure of the power of the gun, is 2000W - which is fairly standard. Unless the tool is for a specialised task I would not recommend purchasing a Hot Air Gun offering less wattage. It has a two step control which graduates the volume of air that the fan pulls into the body of the tool and drives across the electric heating elements and out through a nozzle. The higher setting allows up to 500L/min air flow. Although more sophisticated (and expensive) models have more power settings, the two on offer are appropriate for a mid-ranged Hot Air Gun. Impressively, the gun also has a variable temperature control to increase or decrease temperature, with a maximum outlet air temperature of 600°C. Together with the volume control this provides the user with an excellent level of control. The gun heated up almost instantly once it had been turned on and I set it to work on the different surfaces being tackled. Immediately I was impressed by the relative lightweight feel of the product which made positioning and movement very easy. Using the ‘Glass Protector’ nozzle I angled the heat away from the wooden floor and let the paint on the skirting board bubble and peel. 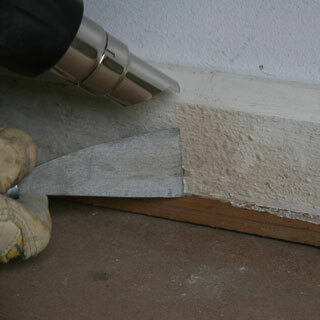 Armed with my Silverline scraper, I slewed away the detritus revealing the primer underneath. 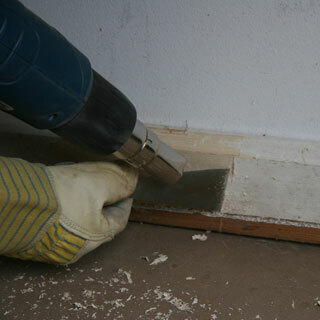 Hovering over the final layer with the heat gun I was able to effortlessly remove it to reveal the original pinewood. 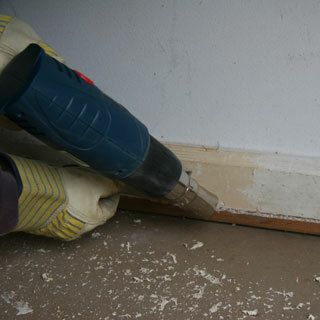 The rest of the skirting board was completed with similar ease. 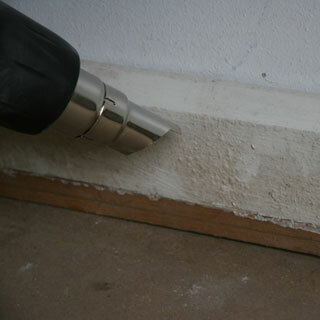 Later, the usefulness of the Silverline Silverstorm Hot Air Gun features was put to the test. The objective was to strip paint from the window ledge below a single sheet pane of glass. By selecting the lower ‘I’ setting I was able to remove the paint without cracking the glass (which is prone to breaking at such high temperatures). Without the reduced heat level I could not have accomplished the job. 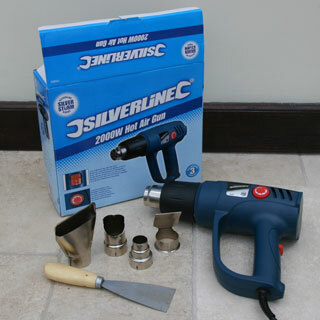 The Silverline Silverstorm Hot Air Gun also comes with four standard nozzle types, useful for typical jobs. There is also a paint scraper included. 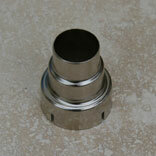 The ‘Reducer’ nozzle enables the heat to be concentrated onto a specific area. This proved to be very useful when trying to remove a stubborn patch of old paint. The ‘Reflector’ nozzle wraps round a plastic or copper pipe to spread the heat around the pipe surface, useful for defrosting frozen waterworks or manipulating plastic tubing. 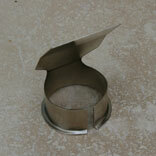 The ‘Flat’ nozzle is great for spreading the hot air over a wider, but narrower area. Finally the ‘Glass Protector’ nozzle, this is used for redirecting the heat away from the glass when stripping paint on or around a window. The manual is filled with electrical and safety information, broken into three main categories; General safety, Electrical safety and Hot Air Gun safety. There is fundamental advice explaining how to operate and maintain the Hot Air Gun, as well as step by step instructions for paint stripping, pipe defrosting and drying materials. This would be useful for any first-time users. The Silverline Silverstorm 2000W Hot Air Gun from Silverline is an impressive piece of kit for the price. Its easy-to-use design makes handling easy and suitable for users of all levels of experience. The adjustable power level and temperature gauge are invaluable. 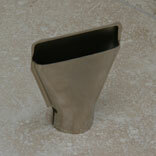 Compared to other brands with similar functions and components the Silverline is a good choice. It comes out favourably for value – making it an excellent choice for both the casual DIYer as well as the seasoned tradesman. The versatility and possibilities of this product make it an important addition to any anyone’s tool kit, especially since it comes with an impressive 3 year guarantee.